"In America, you can only perform and hold shows during summer, and currently they are in winter which makes it impossible to hold shows. Snow affects mobility in a negative way and at the end of the day, you are just confined to your to your home place. 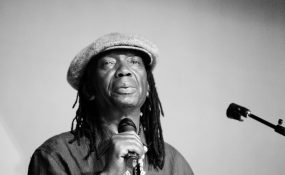 "Some of my band members I came with are even pushing for us to stay a while longer than rush going back to the USA where we will remain idle until winter ends," said Mapfumo. The "Nyoka Musango" hitmaker is billed to perform with Sulumani Chibetu at Las Vegas club this Friday.